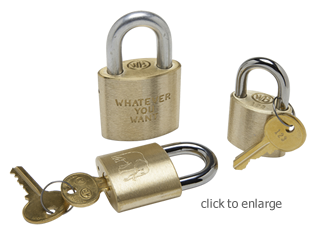 Custom monogramming on locks, keys and/or tags. Color coding with paint, sleeves and/or caps - in a wide variety of colors. 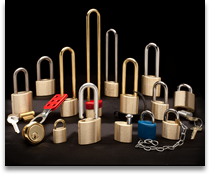 Solid brass padlocks keyed alike, different or master keyed. 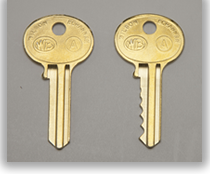 These safety lockout hasps are specifically designed for locking out power sources such as disconnects, switches or valves. Zinc-plated to resist rusting, these hasps feature interlocking tabs that prevent improper removal. Red vinyl coating serves as a warning tag. 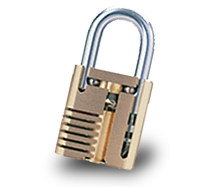 Each hasp will take up to 6 padlocks, and accept a maximum shackle diameter of 5/16”. Available in 1” (model #HSL-1) or 1 ½” (model # HSL-2) I.D. 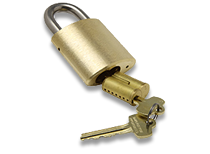 locking mechanism dimensions. 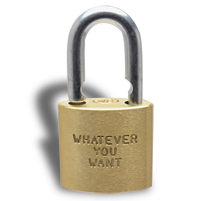 For added security and instant identification, we can custom engrave your padlocks with name, number, artwork, logo – whatever you want. 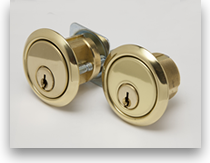 We can also number tags, locks and keys to your specifications. Paint colors: OSHA Safety Colors are standard – Red, Blue, Green, Yellow and Orange. Pin Striping colors: Red, Blue, Green, Yellow, Black, Purple, Orange, White and Gold. Sleeve colors: Red and Blue. Cap colors: Red, Blue, Green, Yellow, Black, Purple, Orange and White. Tag colors: Red, Blue, Green, Yellow, Black, Purple, Orange, White and Gold. 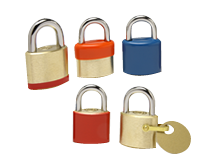 NOTE: We can provide painted padlock bodies and caps in any color you need. Please provide PMS number or sample of color you require. Our durable sleeves are perfect solution for a long-lasting color coding system. 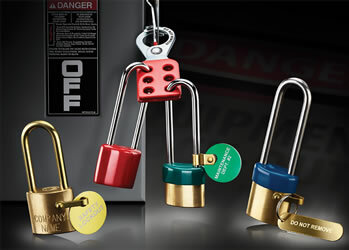 Quickly differentiate padlocks from different departments or units with sleeves available in the many colors listed above. Caps add flexibility to your color coding system. 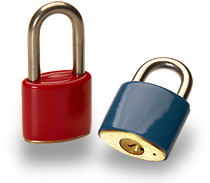 The long-lasting caps are removable and interchangeable; but cannot be removed when the padlock is locked. Available in the many colors listed above. 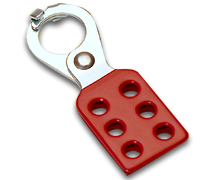 Identification Tags are sold individually, mounted on padlock bodies, or on shackle with collar. Round tags are available in brass or enameled aluminum in the following colors: red, blue, green, orange, silver, gold and purple. Oblong tags are available in brass only. ID tags can be custom stamped with the words and/or numbers that meet your specifications.